We believe a quality repair or installation starts with quality products, which is why we use only the best materials in the siding industry. Whether its one siding panel for a repair or enough siding for an entire home, we turn to award-winning company James Hardie for all of our siding products. Jamess Hardie offers a variety of siding options for any homeowner, so no matter what youre looking for, our qualified installers can help you find it. Windows are one of the most versatile elements of a home. Not only do they add natural light to any room, but they also add ventilation and fresh air. In addition, your windows contribute to your homes energy efficiency as well as its overall curb appeal. With all of that being said, its important to have quality windows in your home and whether youre looking for a replacement or a repair, our home improvement company can help. Katy Roofing recommends concrete or clay tiles for your home or business. 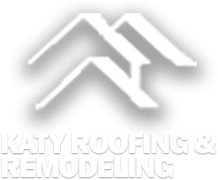 At Katy Roofing , we offer a variety of products to accommodate each and every customer and their budget. We specializes in wood,composite,Vinyl, Chain Links and Aluminum fencing for pool & yard enclosures. We work together with homeowners and landscapers to create the look you have always dreamed of.